on the brain, new study reveals. Is your child on Strattera? Working Memory and Cortical Changes. and become parents by age 21.
can unsubscribe at any time. Are You or Someone You Love Forgetting Things? 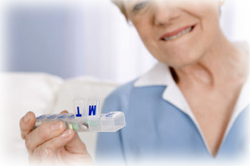 Memory Impairment Can Be Treated - Naturally! What is Memory and How Can You Lose It? The ability to store and retrieve information is such a fundamental ability of the human mind, most people take it for granted. We go to school for years, just to acquire vast quantities of information that we need to get along (and ahead) in life. But without the ability to remember, simply walking from one room to another and back again would be nearly impossible. You couldn’t recognize your mother, your children, or your own face in the mirror. You’d probably starve looking for the fridge. That is, if you knew you had one. In the kitchen. Memory is serious business. He’d lose his own head if it weren’t attached to his neck (snicker snicker) isn’t funny. It’s frighteningly close to the truth for many people who suffer from any of a number of disorders, from attention deficit and learning disability to brain injury and stroke. Even natural aging can cloud the memory and raise the terrifying specter of Alzheimer’s Disease. We can talk about memory in many ways, on the basis of the duration, nature, and retrieval of perceived information. The most familiar terms refer to duration: sensory memory, short-term memory, working memory, and long-term memory. Sensory memory corresponds approximately with the moment that something is first perceived. It lasts only milliseconds or a few seconds at most; some of this information may then be stored in short-term memory. Short-term memory can persist for several minutes or for several hours. Both of these stores are considered to be strictly limited in both capacity and duration. But some stored information can be kept and retrieved days or years later; this is called long-term memory. Working memory is used for temporarily storing and manipulating information. It’s the mental equivalent of a chalkboard or workbench, providing storage for information as it’s being worked on and the attention and direction necessary to process that information. For example, if you need to double your recipe for dinner tonight and you must mentally multiply 1¾ cups by 2, you perform a series of simple calculations (addition, multiplication, and division) to arrive at the final amount. The ability to store the numbers, the instructions, and the intermediate results is your working memory. Memory span is the number of bits of information (usually words or digits) that you can hold in working memory at any given time. Visual digit span, of course, refers to data collected by your visual processing system. Auditory digit span derives from your auditory processors; it’s fundamental in the development and understanding of language and concepts. A simple measure of short-term memory tests the number of digits a person can recall in correct order after hearing or seeing them once. Up to the age of 6, the auditory digit span usually correlates with the age of the child: a 1-year-old can repeat one digit; a 2-year-old, 2 digits; a 3-year-old, 3 digits, and so on. The average adult has an auditory digit span of 7. A person with a low digit span has trouble processing normal, everyday language. This person only gets part of what you say and doesn’t follow instructions well. In children, low digit span can mean struggling to read and failing to use phonics to “sound out” longer words. Auditory digit span also tends to correlate with level of maturity. If a 10-year-old child has a digit span of 3, that child may behave much like a 3-year-old, rather than a 10-year-old. When digit span reaches 6 or 7, maturity becomes appropriate to the age of the individual. For kids with ADD/ADHD, this ultimately translates as a rate of emotional development that’s 30% slower than that of other kids. This means a 16-year-old beginning driver may be using the decision-making skills of an 11-year-old. A kid with an auditory digit span that’s much smaller than his visual digit span will naturally tune out what he hears and will concentrate on what he sees, especially when the situation is stressful. The harder he concentrates on the information he can handle, the worse he does with the other kind, and it seems as though he’s simply refusing to pay attention. But even if he tries, he may not be able to tell you what you just said to him. 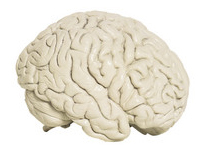 The frontal cortex of the brain provides the essential hardware for working memory. It’s important for attention, motivation, and behavior. If it’s damaged by an injury or stroke; compromised by disease, drugs, or alcohol; or impaired by age, then memory and other cognitive abilities can be lost. In childhood, delayed development here may inhibit the memory span that’s fundamental to learning to read. Studies using advanced brain imaging have proven that cognitive deficits can be reversed. Damaged memory can be repaired. Read how SharperMemory can do it for you. Read about others our program has helped, here. to see first hand what they can do for you and/or for your child. You will not regret you did.